Banny's Lad was bought from Tattersalls December Foals Sale in 2009. 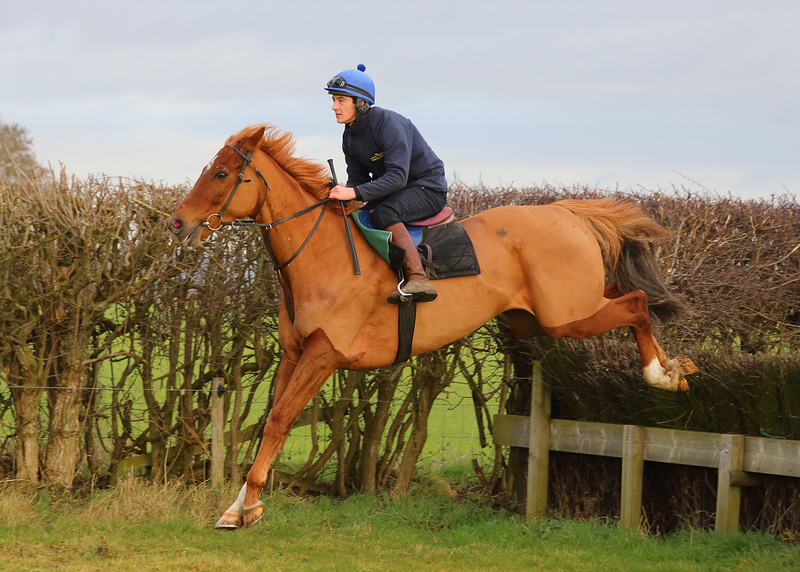 Bred for jumping, he was broken in and then enjoyed life in the fields until it was time for him to come in for Point-to-Point training with Steph Easterby at the end of 2013. He made his Point-to-Point debut at Sheriff Hutton in 2014, winning on the line! He went on to win two more Points at Sheriff Hutton before progressing to running under rules. In February 2016 he made his hurdles debut at Catterick and was placed in his first two starts over timber. Banny's Lad won for the first time over hurdles at Newton Abbot in July 2016, making a 650 mile round trip to the Devon track. He progressed to fences and was a winner in February 2017 at Sedgefield ridden by Jake Greenall and back at the same course he won again in May for Harry Bannister. Banny's Lad was retired at the start of 2019 and will spend his retirement as a hunter.